It’s quite strange to see how the whole PHP ecosystem has changed over the years, no longer does the employee need to convince the employer that he is a good developer; tables have turned, and finding good PHP developers is getting tougher by the day. Enough about the current state of PHP, what about some tools that can help us to analyze and parse our code so that we may avoid encountering problems and issues during our coding time? Here is a list of the most popular tools according to developers themselves. PHP Parser is a code parsing project that’s built on top of PHP; intended for the PHP versions from 5.2 to 5.6. This particular parser is great for dong static analysis, and it enables you to manipulate the code of any applications that’s dealing with code in a programmatic way. The parser works through Abstract Syntax Tree (AST). A full-scale PHP 5.3.2+ sandbox class that utilizes PHP-Parser to prevent sandboxed code from running unsafe code. So, this one and the one above go hand in hand. 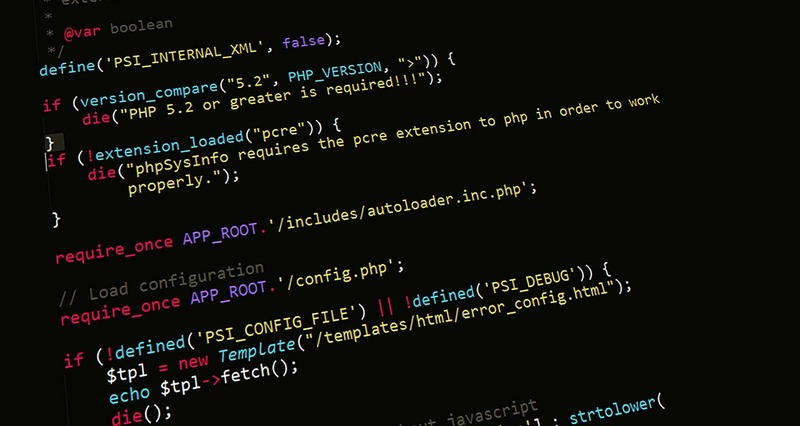 Some of the features that stand out include the ability to redefine your internal PHP code to make it more secure and friendly for using in a sandbox. Here is the page that documents the whole process. In just a few short months the project has expanded significantly with over 30+ new features added. PHPCPD is a Copy/Paste Detector (CPD) for PHP code. If you have to start working on a big project that’s been either abandoned before or follows an old way of programming, then this is the one tool to help you analyze code to avoid having repetitive functions and calls all over your code base. It’s easy to setup and can analyze a project as big as WordPress in less than a minute. PHPCheckstyle is an open-source tool that helps PHP programmers adhere to certain coding conventions. The tools checks the input PHP source code and reports any violations against the given standards. It’s very useful for those who’re just starting out and need an easy way to get introduced to the World of PHP testing and analysis. The reports are concise and easy to understand. This is a neat little library that can tell you all about your code performance in easy to understand measurements. Check out the README to see how easy it is to set it up. The great thing is that this analyzer is also available as a hosted version on their homepage. It might cost you a little bit to get started, but perhaps it’s worth giving a shot to in order to save some time and money along the way. This particular analyzer works within type, flow and other similar analyses, the output is a solid report on how to improve your code and deal with bugs. In reality, these are just a couple of tools that are available out there, but luckily these are all free and easy to get started with, surely you could find other – more sophisticated – software out there, but not only can it turn out to be costly, it can take up a great deal of your spare time. Besides, you should know better what your current project needs and how to better approach it. If you know of any other PHP testing and analyzing tools that we haven’t mentioned today, please leave a comment and we will take a look, quite often we adjust the list to meet the needs of the community.